The computing world is full of jargon. We’ve adopted some of it into our everyday lives: “online”, “Google”, and of course, “Broadband.” We know that broadband is a fast connection, especially compared to the slow-old days of dial-up internet. The speed a Dial-up internet connection topped out at is “56k”. This was a theoretical speed, and many technical factors had to match up to achieve it. That meant a download rate of about 7KB/s (keep reading to know how we worked that out). The differences between “Kb/s” and “KB/s” make it confusing at times. So what is the difference, and how does it affect your internet connection and your download speed? The major difference between bits and bytes is that bits are commonly used to measure speed, while bytes are used to measure size. Think of bits per second as a speed in km/h. On the other hand, bytes are like litres, filling up a hard drive or storage device. The speed of your internet connection is usually expressed as Kilobits or Megabits per second (Kb/s or Mb/s – note the small ‘b’ standing for bit.) You may have seen this in the past, with ADSL2+ offing theoretical maximum speeds of up to 24000kbps (Kilobits per second). To determines how fast your internet connection can download data per second, you must convert the speed Mb/s (Megabits per second) or Kb/s (Kilobits per second) into Megabytes (MB). Let’s say your internet connection speed is 5Mb/s (Megabits per second). This means you can download at 625 Kilobytes per second (KB/s), or 0.625 Megabytes per second (MB/s). Remember, 8 bits equal 1 byte, so to work it out you need to divide it by 8. So our equation is: 5 Megabits per second / 8 = 0.625 Megabytes per second. Your connection can affect the way your business operates, especially if you are downloading or streaming files in the GB or TB (1,000,000,000,000 bytes!) range. If you have a small business with only a few employees and only use the internet to browse the web, send emails and make the occasional Skype call, a 10-12Mbps connection may be sufficient. For streaming HD video, teleconferencing, and using cloud services (Dropbox for example), a business needs at least 25Mbps. When the number of devices increase, your bandwidth must keep pace. If you have 10 employees HD streaming simultaneously, you have to allocate enough bandwidth to each user. That means increasing the bandwidth to somewhere around 60-100Mbps. Just because your connection has a maximum of, say, 24Mbps (such as ADSL2+), does not mean your particular device will download at that speed. Factors such as distance from the exchange, internal cabling, network devices and its configuration, the site you are accessing, other users on your network, or even high numbers of users in your area (which is known as contention) competing for bandwidth can all diminish the download speed you receive. If you are in doubt of what you need, Broadband Solutions can tailor a broadband connection that meets your business requirements. 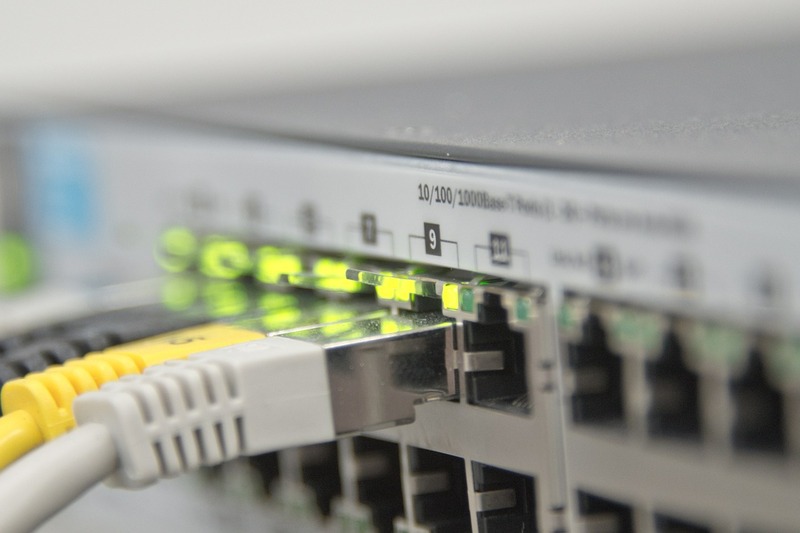 We determine what is the best available connection that you can receive, whether being Midband Ethernet, Fibre Optic, Microwave, ADSL2+ or NBN. Call 1300 683 000 and ask us about how we can help your business with high-speed broadband.